I was interviewed by Vegans in Vegas Radio! Well, technically, I was Rigel Painter’s guest-host because we like to keep it community-oriented and less formal. We chatted about all things health and fitness, including Bikram Yoga, becoming a healthier vegan, low fat high raw, and how to easily establish a fitness routine. 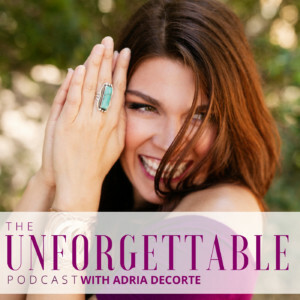 Take a listen – I think there’s some really helpful material there. It’s Episode 9 of Vegans in Vegas Radio on iTunes. And I’ll be a guest again in future episodes. So now onto the guts of this post! I’m so flattered that Heather from Gluten Free Cat nominated me for the Liebster Award. My first blog award! Yay! I enjoy seeing what she and others post at Raw Foods Thursdays. Check out her super-creative Raw Cheesy Vegan Tacos that use jicama slices as shells. Her blog is full of these interesting, clean recipe ideas. 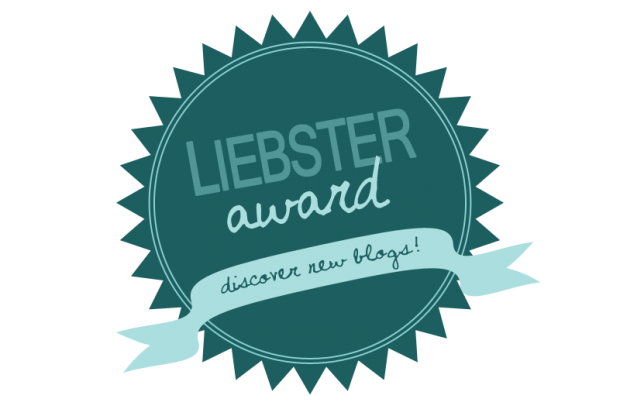 The Liebster Award was created to get to know and acknowledge up-and-coming blogs with smaller numbers of followers. The goal is to pay it forward, so once nominated, the award is passed on to other blogs. This gives us a chance to get to know a little more about each other and find some wonderful blogs that are lost in the web noise. List 11 bloggers who have less than 300 followers (as best as you can tell based on the info provided!). They should be bloggers that you believe deserve some recognition and a little blogging love! My left foot is a full size bigger than my right. It makes it hard to find a pair of pumps that fits right! My favorite fruit is the persimmon – fall is an exciting time for me. 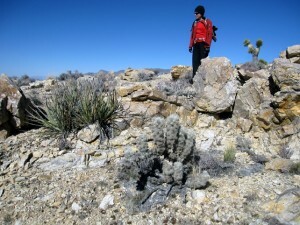 Hiking in the Mojave Desert outside Vegas. Until my late teens, I had cantaloupe and honeydew mixed up. I lifted the same bicep curl weight for two years. I’m Canadian but grew up in Vegas. For most of my life I hated peanut butter and coconut. Now I think they are delicious. Even together. I have a Masters in Plant Ecology and make a great trail guide if you ever hike outside Vegas with me. In a couple weeks it’s my husband and my lucky 13th anniversary together. I throw like a girl. I used to play the saxophone in a jazz band. I’m an ISA Certified Arborist so I have a good excuse to enjoy climbing trees as an adult. I didn’t start blogging until January of this year (2013). I’ve always loved to write, and I’ve been giving people health advice for a while. I finally decided to merge these two passions. And I’m having a blast! What is one goal that you’ve always wanted to reach but you still haven’t? I’ll go with my dangling health goal – clear skin and kicking the acne. I’m working on it! What’s one restaurant where you will eat some day? I look forward to going to the Woodstock Fruit Festival someday – maybe next year? Low fat raw vegan, 80/10/10 cuisine prepared for me? Count me in. All those delicious looking fruit meals – yum! Who is your most memorable pet and why? I feel like this question is unfair to all of the wonderful animals that have graced my life! I hope they aren’t listening! I will selfishly answer and go with my current black lab Buddy. Anyone who knows him will agree that he is “memorable”. After 10+ years of living with him, we usually use the term “endearing”. He is the most neurotic and high-strung, difficult dog. People can’t help developing a soft spot for him if only because he is one-of-a-kind. If you had a choice between a gift of money or an experience what would you choose? Experience every time. Life is made up of experiences and they shape who I am and give me the tools to help other people. Though I’m craving the beach right now, I would usually go with mountains. I’m a nature girl and a self-professed plant nerd. 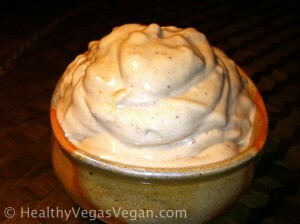 My banana soft serve – this one is carob flavored. What snack is your guilty pleasure? Right now I’m digging banana soft serve. It’s been 100+ degrees so it really cools me down. If left alone for 2 hours, all chores and work done, what would we find you doing? Curled up on the couch reading an urban fantasy novel – escapism helps get me out of my head! Which couple has the most inspiring love story? If you could visit any place where would you go? A peaceful, relaxing retreat somewhere in nature sounds pretty dang good right about now. What is the most unexpected event of your life so far? Starting a blog after years of being a shy, private person! What are your goals with your blog? If there was one meal you could eat every day what would it be? Are there any foods (other than animal products) that you avoid in your daily life because you feel they are to unhealthy? What’s your typical exercise routine? City slicker or country lover – which are you? If you could live anywhere in the world, where would you be? Now your turn. What’s something random about you? Go ahead and answer one of the questions asked here – I’m curious to see your answers! Leave it in the comments. Then check out some of these awesome blogs. Thank you so much for your wonderful responses! We have even more in common than I thought! (Including shoe sizes – ugh! And mine is just a half size different.) Love your sweet answers about Buddy and your personal love story. And I totally get the shy/blogging thing. When I first started I set all of my privacy settings so just my mom and I could read my posts! HA! Thanks again for participating, Adria! You are a gem!! Thanks Heather for getting me to participate! Hi Adria, thanks again for the Liebster nomination! My Liebster post in response is finally up. That’s awesome Lee. I loved reading your answers, and actually I have a huge fear of flying, too, despite doing it dozens of times in my life. I’ll check out your resources!